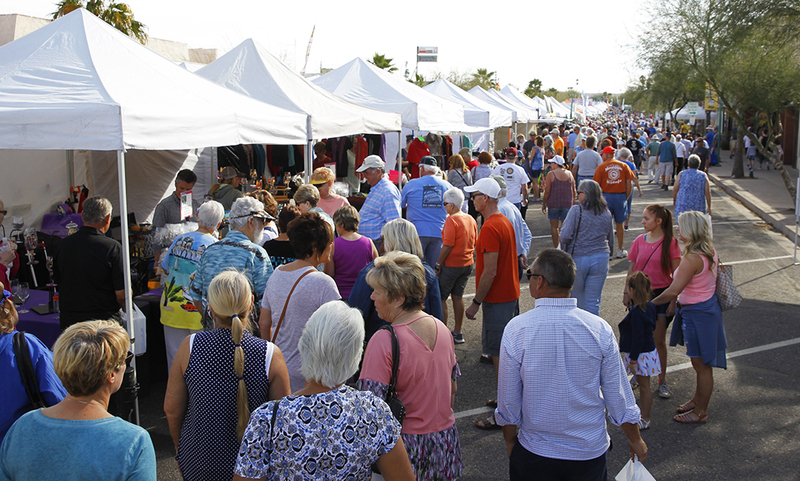 Winterfest, the long-running festival for Lake Havasu City, brings welcome changes and new vendors for the public Saturday. This year’s Winterfest will feature 234 vendors, with more still on the waitlist. According to the Chamber of Commerce, the total space for vendors is sold out. There are a few new vendors this year as well, such as Be Crepeful, and local new vendor River Blend Coffee. Aside from the new vendors, the beer garden and the concert stage return. The opening ceremonies for Winterfest will be at the stage in the park, with different bands appearing. Newly-elected Mayor Cal Sheehy will be at the opening ceremonies to kick off the event with the Color Guard at 9 a.m., Saturday. The Colomonde Chorus will perform at 11 a.m., Saturday after the opening ceremonies. They are followed by Cougrzz Rock from noon until 4 p.m., and a surprise guest will take the stage from 4-5 p.m. The festivities continue Sunday. The Riptides Band will take the stage from 11: 30 a.m. to 3:30 p.m. The Beer Garden will be open from 10 a.m. to 5 p.m. on Saturday and 10 a.m.-4 p.m. Admission is free to the public.